Don’t You Want to Be On the SAGES Team? The name is catchy. But maybe you’re not sure what it means or what this NALS task force does. First, the acronym stands for “Someone Who Assists, Guides, Educates, and Schools.” The goal of the SAGES Task Force is to develop guidelines, curriculums, and educational tools to help members further their certification goals and careers. This task force also helps to fill the gaps between the Certifying Board and the Manuals Task Force. SAGES was formed after the 2017 national conference, and its first few projects were to review educational presentations and create vocabulary puzzles and other word games for an online study course. Since that time the SAGES team has expanded its work by reviewing and updating the mock exams, beta testing new online exams, preparing PowerPoints and presentations for the Study Hall Live! Series, and assisting with proofing various certification-related items. At the time of the 2018 national conference in Phoenix, SAGES had only been around for a year, but the team had collectively worked hundreds of hours to help provide members with the educational tools they needed. The goals for the upcoming year were discussed at the conference when the leadership teams put together vision boards. Attached is the vision board developed for SAGES during that session. The SAGES Task Force is best described as “a suburb of the NALS Community.” You can view our Leadership Vision Boards from 2018 here. The members of this task force bring experience in certification and support to those who want to further their certification goals. They are purpose driven and strive to focus on the basics that we all need. This task force has many opportunities for anyone interested in volunteering their time. Do you have a passion for a specific area of the law? If so, maybe you would be interested in hosting one of the Study Hall Live! Events. These sessions are open to everyone. You can register online at no charge to exam registrants, but there is a small fee for those interested in participating who need CLE credit. The possibilities of this task force are endless. Not everyone’s learning styles are the same. Some people are visual learners while others may be verbal or kinesthetic learners. The ultimate goal of SAGES, as well as any NALS task force or team, is to help everyone better themselves and succeed in reaching their goals. To help YOU define yourself through certification and education. If you would like more information about the SAGES Task Force or would like to volunteer your time, please contact Helene Wood, PP, PLS TSC-RE, SAGES Chair (helene.wood@nortonrosefulbright.com), Anita Campbell, PP, PLS, SAGES Co-chair (anitacampbell59@gmail.com), or Maria Easterly, NALS Resource Center Certification/Education Manager (cert-edu@nals.org). Paula Steffey, PP, CLP-SC (civil litigation, personal injury, and criminal), CWCP, has been a NALS member since 2014. 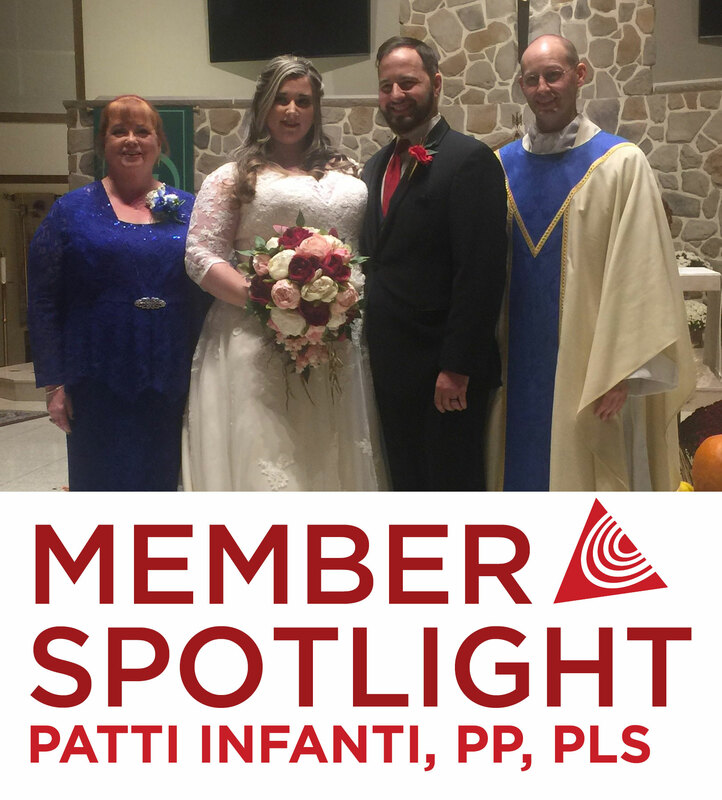 She is currently the Corresponding Secretary and Certification committee chair for her local chapter (NALS of Greater Kalamazoo); Certification committee chair and Publications committee chair for NALS of Michigan; and is on the Editorial + Marketing Board, Manuals Task Force, and SAGES Task Force for NALS. She also has a secondary membership with NALS of Phoenix. Outside of NALS, she is a full-time legal assistant to Garold A. Goidosik with Goidosik Morse Disability Law Group and has two other part-time jobs. Why Did You Join NALS? I was teaching an Adult Education Legal Secretary course and the textbook being used mentioned NALS and the PLS Exam. I contacted NALS and obtained information about the PLS Exam. I studied using borrowed books and passed the two-day, seven-part exam on the first try. After that, I was invited by the Philadelphia Chapter to attend their annual Installation of Officers. I was so impressed with the leadership and professionalism of the officers and members, I joined. The rest is history. How does your membership in NALS assist you in your career? Being a member of NALS and, in particular, attending national events has given me the ability to think beyond my little corner of the world and see the big picture. Being active in NALS can help you understand client issues and business decisions law firms make, how to think ahead and to be prepared for possibilities that could present during a case, and furthers excellence in the legal profession. What has been your favorite event, service, task in the local and state NALS chapters? Website Chair for both NALS of Philadelphia and NALS of Pennsylvania, as well as Parliamentarian for NALS of Pennsylvania. I also enjoyed being editor of the Bulletin for NALS of Philadelphia and the Reporter for NALS of Pennsylvania. What were the best fundraiser and membership events? Breast Cancer Awareness Secretarial Tea; Secretaries Night Out networking events. How about networking – do you have NALS pals that you hang out with? Without a doubt, networking with other NALS members, no matter what the Forum, is my favorite activity. There is a core group of NALS of Philadelphia members who participate in nearly every local and NALS of Pennsylvania event, so we all hang out together. At national conferences, I catch up with many, many NALS members from across the country. Who, in NALS, has been your role model? My first role models were Janet Greco, PLS, and Beth Cummings, PLS, here in Philadelphia. They were my early mentors too! Also, many of our past presidents who exude professionalism, showing me the way. Do you have a favorite memory from a National NALS event? What is your greatest accomplishment in NALS, besides being President? Early in my NALS “career,” I was the Philadelphia Chapter’s PLS Study Group Chair. As Chair, I was thrilled to write an article about the benefits of NALS certifications and invite area legal secretaries to attend an information meeting. The Philadelphia Chapter’s Study Group was structured in such a way that those studying could easily become members. We had a large crowd at the information meeting, resulting in nearly 20 participants in the Study Group who also became members. The Study Group was so successful that it won the Founder’s Award (Jett Awards) that year. It was thrilling! What has NALS given you? A clear sense of my contribution to the legal services community; a real sense of professionalism; and a desire for excellence in my career and life. What would you tell a new member of NALS? NALS is the single most important, career-altering decision you will ever make for yourself, and getting head over heels involved with NALS is exhilarating and satisfying as you watch your hard work blossom to fruition. Join and get involved! Don’t laugh --- I LOVE making huge documents “pretty.” I know many people have difficulties understanding Microsoft Word, but I actually enjoy implementing styles to make documents look their best. I sing in my church choir (I am no soloist, but I love to sing); I am a Stephen Ministry Leader; I’m in the process of little-by-little cleaning out the clutter and updating my house. I also love jigsaw puzzles which I play on my tablet – it’s so relaxing. I love the Clan of the Cave Bear series of books by Jean Auel. I have them all and re-read them periodically. Who (a living person) inspires you the most? As I mentioned, I am a Stephen Ministry Leader tasked with building parish awareness of the Ministry, training Stephen Ministers, meeting with care receivers (those people who are ministered to), organizing the twice per month meetings, counseling the Stephen Ministers to keep everyone on track, and a host of other things that go along with that. Right now decluttering and updating my home is my favorite project. Do you have interesting hobbies or plans for the future? I will do a little traveling soon, but currently, the church choir and Stephen Ministry is about all I can handle at this time. Patti has experienced many of the best and worst experiences that life has to offer. 2018 was a tumultuous year for her and her family. Her childhood sweetheart husband, Mike, passed away in April. 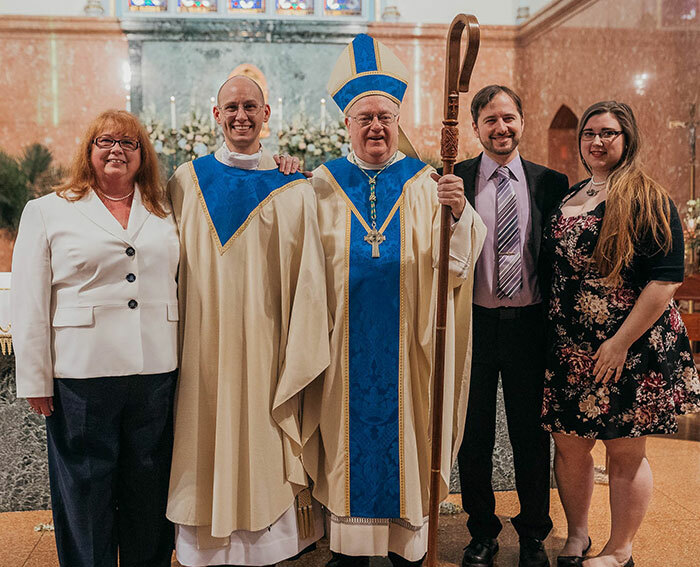 Two months later, their son Anthony was ordained as a Catholic priest. Just before Thanksgiving, their other son, Joseph, married Alexis—the daughter she always wanted. Note that, through it all, she continues her service to others through her ministry – in life and in NALS. Whether due to budget, schedule, or travel conflicts, it’s not always possible to get the speaker you want to your event. Fortunately, technology can bring him or her to your event virtually. Here’s how it can work in practice. Many professionals in event management and professional development have had to deal with an impossible challenge: get a high-profile speaker to keynote a conference on a shoestring budget. Sometimes the issue is that the association can’t afford to pay high speaker fees or cover travel expenses. Other times, it’s simply that the speaker can’t make it to the event in person. How can you get around the challenge of a speaker who can’t be there for your meeting? Answer: technology to the rescue. There are several ways to incorporate speakers into your program virtually. For example, consider a prerecorded video interview of the speaker by your CEO or board president. This is a great way to involve a high-profile speaker without taking up too much time or incurring a major expense. If they’re comfortable with video, you can also ask a speaker to make their own recording—cellphone technology and video quality have come a long way. Often, you just need a steady hand and a cue-card holder to create a video segment. More expensive options are available, should your budget allow. Think about the advances in technology that we’ve seen in recent years, like virtual reality and augmented reality. Some associations can and should take advantage of these options. develop a run-of-show plan and make sure you have enough time to execute the project. Successfully presenting a virtual conference speaker takes planning, and you need to start early. If you know that the speaker you want will only be available remotely, involve important stakeholders to get buy-in for a virtual alternative. Talk to your executive, board members, and committee volunteers to gauge their interest and appetite for a virtual speaker. If you are going to ask a speaker to do prep work for a recorded video, call, or podcast, develop a run-of-show plan and make sure you have enough time to execute the project. Even the best-laid plans can go wrong, so consider and prepare for possible mishaps in advance. What is your backup plan if the internet speed is not enough to support AV needs? What if the internet connection drops midstream? What other technical issues—things like sound, image, or caption quality—might arise? Once you have talked through these potential issues, make sure you know how to handle them quickly and appropriately. Be prepared to work with the AV company, meeting venue, and any other key contractors to ensure your bases are covered. There is no reason why physical presence should be required for that one special speaker you want your conference attendees to hear. When you find creative ways to incorporate your ideal speaker into your meeting, you not only deliver a valuable viewpoint to your attendees, but you may end up with some new and enduring educational content for the future that can be shared with your entire community. Meredith Ellison, MBA, CAE, is vice president of programs at the National Sleep Foundation in Arlington, Virginia. Copyright ASAE: The Center for Association Leadership (December 10, 2018), Washington, DC. Typing in MS Word? What if you couldn’t use your mouse? You can use sentences for the basic actions without your hands leaving the keyboard! Remember there are many ways to do the same actions. This action will probably be used the most. If you need to highlight a section of the document to change the font or indent or move a paragraph, place the cursor up to where you need to start, then press and hold Shift and arrow across (for a word) or down (for a paragraph). You will see the text become highlighted. You can bold it (Ctrl + B), underline it (Ctrl + U), or italicize it (Ctrl + I). You can copy and paste without your hands leaving the keys. Think of the sentences “Alt, Edit, Copy” and “Alt, Edit, Paste.” Now highlight what you need to copy and paste by pressing Shift, Ctrl, and the appropriate arrow key. Then press Alt, E, C, (Alt Edit Copy), then arrow to where you want to insert text and press Alt, E, P (Alt Edit Paste). By the way, Alt, E, U will “Undo” what you just pasted (Alt Edit Undo). To highlight the paragraph or section you need to move, start with the cursor at the beginning of the section. Press Shift and arrow down. Then think of your actions in sentences– Alt Edit Copy, (Alt, E, C), Alt Edit CuT (Alt, E, T), move the arrow to the new location and type Alt Edit Paste (Alt + E + P). If oops, think of Alt Edit Undo and type (Alt, E, U). Even though MS Word has an automatic save feature that you can set the time on, what if you were interrupted and didn’t want to lose what you just typed? Think of the sentence, “Alt, File, Save” and press Alt, F, S. If you need to close the file, think “Alt, File, eXit” and press Alt, F, X. The program may ask you if you want to save it. Press “Y” for Yes and the file will save and close. To indent just the left side of a paragraph, Highlight the text and move the arrow up to where you need to start. Then touch Tab, the whole paragraph will move to the right. To undo this action, move the arrow to the left of the first word and touch Backspace. Or type Alt Edit Undo (Alt, E, U). To indent both sides of a paragraph takes a little more reading. Highlight the paragraph by placing the cursor up to where you need to start, then press and hold Shift and arrow down. Press and let go of the Alt key and on the toolbar you will see little boxes with letters in them. Press Alt then P to go to the Page Layout tab. Then press Alt, P again, you will see little boxes with letters. Use the tab key to go to Indent Left. Type in 0.5 for a ½ inch margin to the left. Repeat Alt, P, tab over to Indent Right and type in 0.5 to move right margin ½ inch.